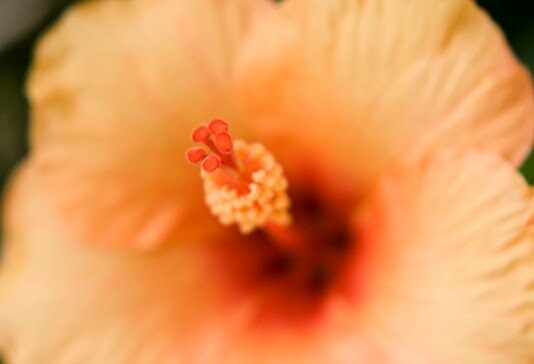 I love hibiscus, with their delicate fluttery petals and intricate stamens with velvety stigmas. Their touch of tropicana never fails to make your day feel happier. If you are in the snow-covered Northern Hemisphere I do hope it adds some sunshine to your day as well! 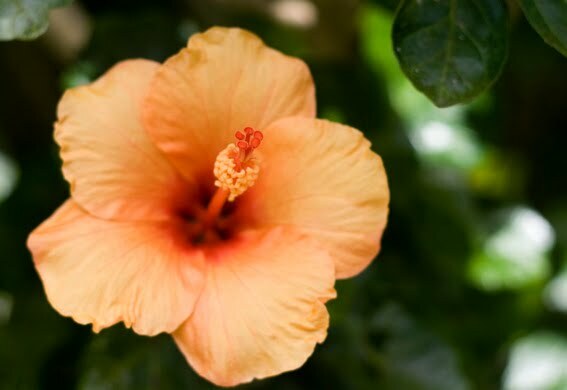 This particular hibiscus is sending out masses of blooms at the moment, all reaching madly towards the sky to maximise their sun exposure. The pastel orange isn’t my favourite colour, but it is an established tree now so it is staying!